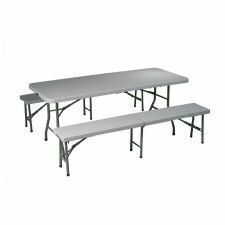 3 Piece Folding Table & Bench Set (Consists of 2 Fold in Half Benches and a 6' Fold in Half Table)Durable Construction. Light Weight Sleek Design. Powder Coated Tubular Frame. Ideal for Indoor or Outdoor use. Consists of 2 Fold in Half Benches and a 6' Fold in Half Table. 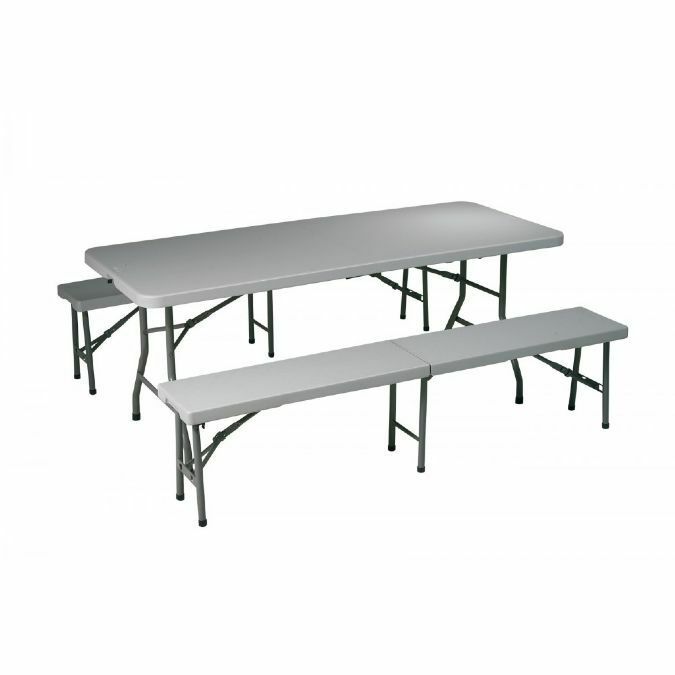 Meets or Exceeds Test Standards (BIFMA and MTL), Table: 350 lbs. evenly distributed / Chair: 200 lbs. Table: 350 lbs. evenly distributed / Chair: 200 lbs.